flying the best airport is Amsterdam Airport Schiphol which is served by all the international carriers as well as the no frill airlines such as Easy Jet and Ryan Air. Try www.skyscanner.com to get the best prices from all of the carriers at the same time. How to get to Crowne Plaza Amsterdam South. Hotel Shuttle - The airport offers a shuttle service to and from Schiphol Airport and your hotel in Amsterdam. The Shuttles departs every day of the year, between 6 am and 9.00 pm at bus platform A7 directly outside the terminal. You'll never have to wait more than 30 minutes for the next departure. For more information and tickets, please check our website; www.schipholhotelshuttle.nl or visit our Connexxion Service desk at the airport. Follow the signs "Amsterdam Shuttle Desk" to Arrivals 4 (next to Starbucks). Combined - If you choose combined transportation other people may travel with you to the airport. The taxi will stop at different addresses to pick up other clients. 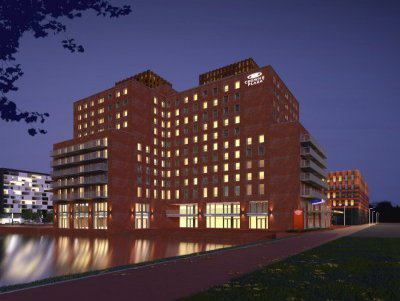 Holiday Inn Express Amsterdam South (2.5km). We have managed to secure 15 rooms at both hotels. Due to the extremely busy period (most hotels are sold out already) these are subject to first come first served upon receipt of payment.